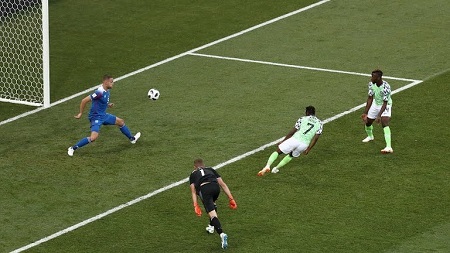 The Super Eagles this evening defeated their counterpart, Iceland in the second game of the group stage at the 2018 Russia World Cup. The two goals were scored by Nigerian forward, Ahmed Musa in the 49th and 57th minute of the game. Nigeria stands a chance to qualify from the group if they can draw or beat Argentina in their last game.